Baidu Inc. (Nasdaq: BIDU) stock hit an all-time high of $237.55 this morning after yesterday's Q3 earnings report. Baidu reported earnings per share (EPS) of $1.79 on revenue of $2.203 billion. Analysts expected EPS of $1.69 and revenue of $2.22 billion. On a non-GAAP basis, BIDU had EPS of $1.90. 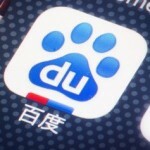 Baidu Inc. (Nasdaq: BIDU) stock reached an all-time high today (Friday) of $222.36 after the company reported earnings that topped analysts' estimates yesterday afternoon. In the most recent quarter, Baidu reported earnings per share (EPS) of $1.73, which outpaced consensus estimates of $1.40.